I walked past the new home of the Central St Martin’s Art School today. Outside there was a new set of pavement fountains which I had seen in construction for some time, but not in operation. They cover an area of several thousand square metres and are set to a complex set of synchronised dances. It is fantastic to watch. Today it was quite windy so they gave off a constant mist which added to the attraction and clearly caught the attention of students as they left for the day. It’s difficult to capture the sense of movement in the constantly changing patterns but I think this photograph at least reveals some of the atmosphere. Well worth a visit if you are in the Kings Cross area. 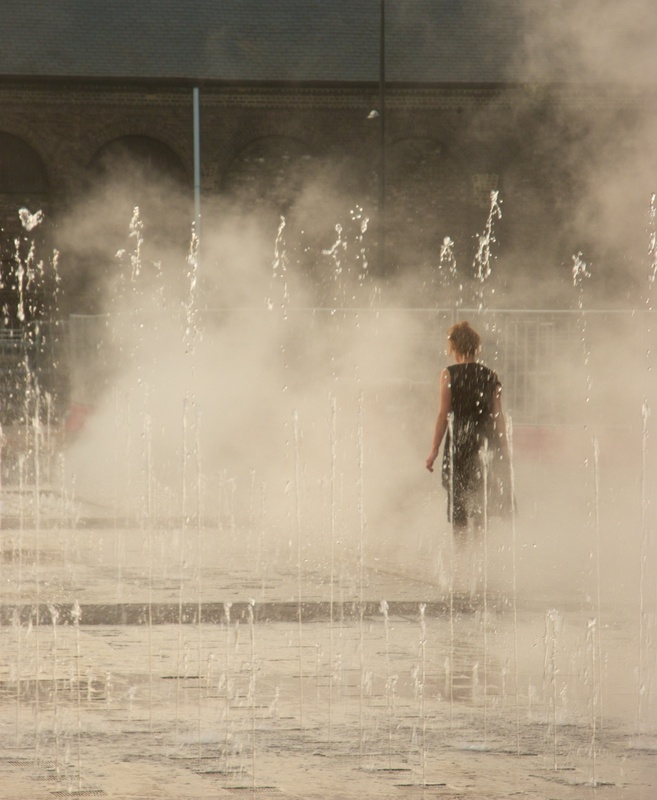 Posted in Architecture, England, Photography and tagged Central St Martins, fountains, photography. Bookmark the permalink.